Weddings or engagements are already highly personalised. To make things even more special and unique for you and your partner, why not consider engraving a message onto your ring? At La Vivion, we have a large collection of engravable rings that are just waiting to be personalised for that extra unique touch. 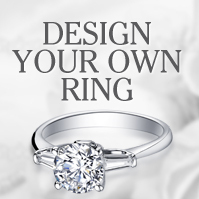 Select A Style – Select the style of text you would like engraved in your ring. We can engrave initials, monograms or up to 10 characters of your own text. Select A Font – We have three fonts that you can to inscribe a message on your engravable ring: Roman style, italicised script and block text. Enter Your Text – You will then be asked to either enter the initials you have chosen for the monogram or initial styles, or the text you desire, into a text box. A neighbouring text box will demonstrate what your message will look like when engraved. Simply click the “add to ring” button to finish the process. Following these very simple steps, you’ll have created the perfect wedding or engagement ring that you and your loved will cherish forever. Each of our engravable rings comes in a variety of materials and styles, and there are plenty of different carat weights, colours and cuts of diamond available. 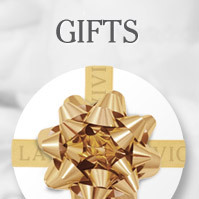 Creating a beautiful piece of jewellery is simple with La Vivion. Platinum – Platinum is one of the most durable and dense metals used for jewellery. Many people praise its natural white sheen which complements the radiant light given off by diamonds. 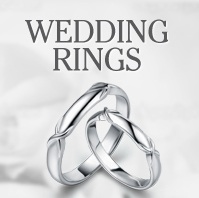 Sterling Silver – Sterling silver is the most commonly used form of silver for rings. It is made from a mixture of 92.5% silver and 7.5% copper. This ensures the metal is tough and durable without compromising on silver’s noted colour. Yellow Gold – Yellow gold is made from marrying natural gold with red and green tinted alloys to create a beautiful warm hue. Rose Gold – Copper and natural gold are matched to create the bronze shades of rose gold. White Gold – Natural gold is combined with white-coloured metals and then plated with robust metals like Rhodium to create the brilliant finish of white gold. All of these materials are perfectly suited to engraving. We have various different diamond shapes that you can choose from to customise your ring further. These include traditional round brilliant cuts, as well as fancy cuts like princess, heart and marquise. To learn more about our engravable rings and how you can create your perfect wedding or engagement ring, contact us today at enquiries@lavivion.com.